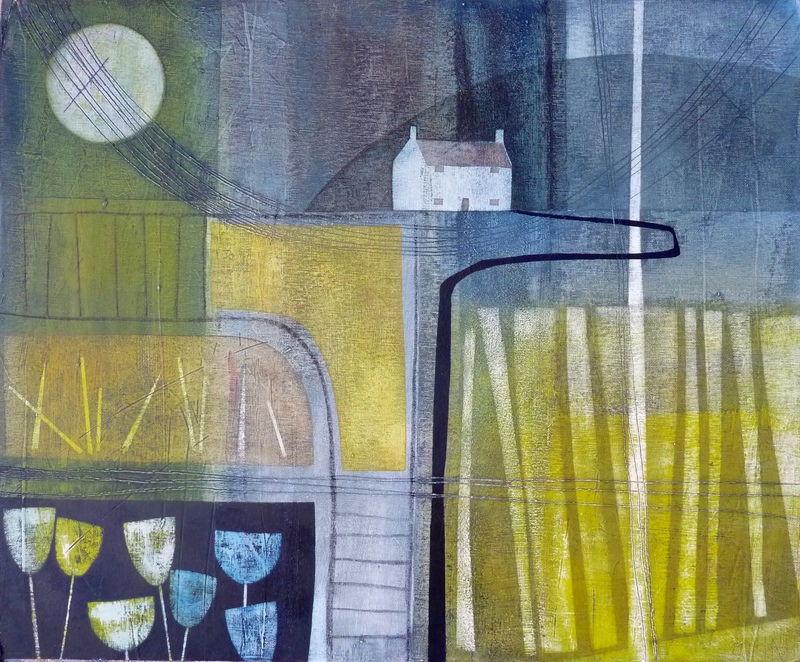 Fieldworks (i) – Oil & mixed media on canvas board – SOLD. 61 x 51cm. SOLD by The Lion Street Gallery, Hay-On-Wye.